If you were unfamiliar with the way US corporate media works, you might assume that the murder of six people in a Quebec City mosque, allegedly by far-right white supremacist Alexandre Bissonnette, would be a big story. After all, the January 29 massacre happened when the United States was had just begun a furious debate over Donald Trump’s executive order barring citizens of seven Muslim-majority countries, ostensibly as an anti-terrorism measure. Thousands of protesters descended upon airports across the country, denouncing the order as arbitrary scapegoating. The suspect in the attack at the Cultural Islamic Center of Quebec, which left eight wounded in addition to those killed, was known for his anti-immigrant (and anti-feminist) views; among the “likes” on his (now suspended) Facebook page were Donald Trump, French neo-fascist Marine Le Pen, the Israeli Defense Forces and anti-Muslim writers Richard Dawkins and Christopher Hitchens (The Intercept, 1/30/17). The attack could have provided a critical lesson in the fallacy, and the danger, of singling out particular categories of people. That is, if US media had paid more than passing attention to the story. To get a sense of how little coverage the Quebec mosque attack got, FAIR counted mentions of Bissonnette’s name in eight outlets included in the Nexis news database, from January 30 (when his name was released by police) until February 2. For comparison purposes we tallied mentions of the name of Michael Zehaf-Bibeau, the reported assailant in a 2014 attack on Parliament Hill in Ottawa, Ontario, that left one soldier, along with Zehaf-Bibeau, dead. We searched for his name in stories from October 22–25, 2014. Every outlet we checked had more coverage of Zehaf-Bibeau than of Bissonnette—ranging from 50 percent more stories on CBS to more than 11 times as many stories on CNN. (The PBS NewsHour, which ran three stories referencing Zehaf-Bibeau, did not run any stories on Bissonnette.) Mostly these outlets ran one or two stories talking about the mosque attack suspect, versus 5–7 stories with the parliament attacker. All in all, there were 88 Zehaf-Bibeau stories and 15 Bissonnette stories—a ratio of about 6 to 1. Corporate media in the United States have a strong predisposition to identify “terrorism” as politically motivated violence committed by Muslims—even though such crimes are a small percentage of US political violence. This association, of course, leads them to cover violence perpetrated by Muslims more heavily, reinforcing the misleading connection between terror and Islam—and leaving stories that might encourage the public to reconsider the issue, like the Quebec mosque attack, to fade away out of the media spotlight. 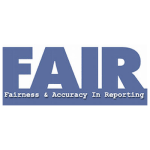 Jim Naureckas is the editor of FAIR.org. You can find him on Twitter at @JNaureckas.